Handtmann is an experienced technology supplier and a specialist in developing automation solutions in the food processing sector. The key components for success are tuned to today’s customers’ wishes and market requirements. Product developments, variability in production and room for expansion and capacity adaptations are taken into account. Handtmann VF 600 generation filling technology lays the foundations for maximum productivity by virtue of its optimal feeding, dynamic servo drive technology and powerful vacuum capacity. The perfect combination of the vane cell feed system, integrated weight compensation and excellent control technology provide outstanding portioning accuracy precise to the gram. In addition to the quality of the machines and devices, demands for increased quality with respect to services, e.g. application consultancy, servicing, documentation and software etc., are being made by our customers. Handtmann-specific services and the Handtmann-specific communication based around the Handtmann Forum and the upcoming IFFA 2013 are the perfect answer. Close customer relations and customer contact on an equal footing. Using dialogue to understand the customer requests and to develop suitable solutions, resulting in more reliable, more production-ready line and automation solutions. These tailor-made solutions guarantee long-term success as they allow meat processing companies to produce excellent products, reproduce top product quality without difficulty and turn product ideas into successful standard products. understand – engineer – experience = Success through dialogue. 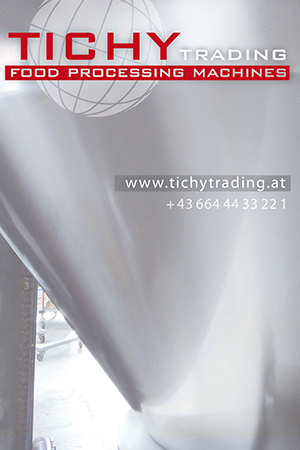 These reliable and production-ready line and automation solutions, developed on the basis of intensive dialogue throughout the world, will be presented by Handtmann just at the right time for the IFFA 2013 – the event in the meat processing industry, from 4th – 9th May 2013 in Frankfurt. At its usual place, in Hall 8/Stand D 96, Handtmann will present innovations, highlights and tried-and-tested solutions for small-scale, medium-scale and industrial producers over an area of 1,200 m². Visitors will be able to see a great variety of exhibits, including an extensive range of products from the areas of vacuum filling technology, high vacuum filling technology, sausage automation, line solutions for minced meat, solutions for the convenience products market sector and ConPro systems, as well as a diverse portfolio of auxiliary devices and additional equipment. The trade fair stand will focus on the subject of automation. Visitors to the Handtmann stand will be shown an extensive and wide range of automation-related exhibits: from individual automated process steps that could be used in small-scale companies to fully-automatic robot solutions for industrial producers. Automation for increased productivity and food safety. 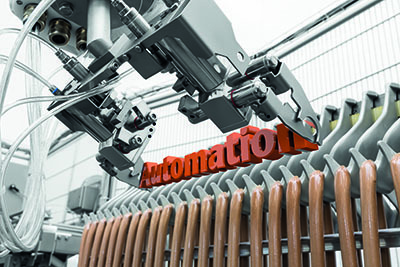 Automation for improved efficiency, a better energy balance and reproducible quality standards. In the meat processing sector, automation plays a key role in improving hygiene, as manual intervention is significantly reduced. Successful automation, visionary and future-proof but production-ready and reliable. This is what Handtmann stands for. The absolute highlights at the Handtmann IFFA 2013 stand are the new products. 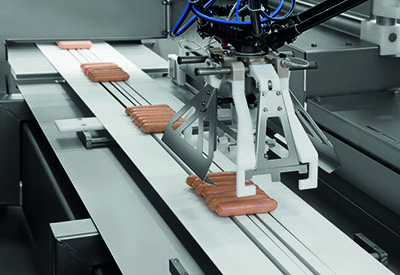 Visitors can look forward to seeing new developments and enhancements in the fields of sausage automation, the ConPro system, minced meat production, high vacuum technology and formed products. State-of-the-art technology that opens up new possibilities in terms of product diversity and efficiency. Trade fair visitors and customers are invited to follow up inspiring and stimulating ideas developed at the Handtmann exhibition stand at the Handtmann Forum in Biberach, where concrete discussions and individual consultation will be offered. All tried-and-tested technology as well as new machines and products that have been exhibited on the Handtmann exhibition stand can be trialled by means of product tests under field conditions in line with your specific requirements in the Handtmann Forum after the IFFA. Handtmann 2013. Market-oriented process solutions and production-ready automation solutions, developed via constructive dialogue. For maximum efficiency and guaranteed production reliability. Experience success at the IFFA 2013 in Hall 8 Stand D96.